I hope you enjoyed the first part of our classic list of NES games. In part two we show you more classic games which made the NES such as memorable system. Another classic Konami arcade game which was ported over to the NES. It was released on the Family Computer Disk System in Japan on May 1986 as Final Command: Akai Yōsai​. 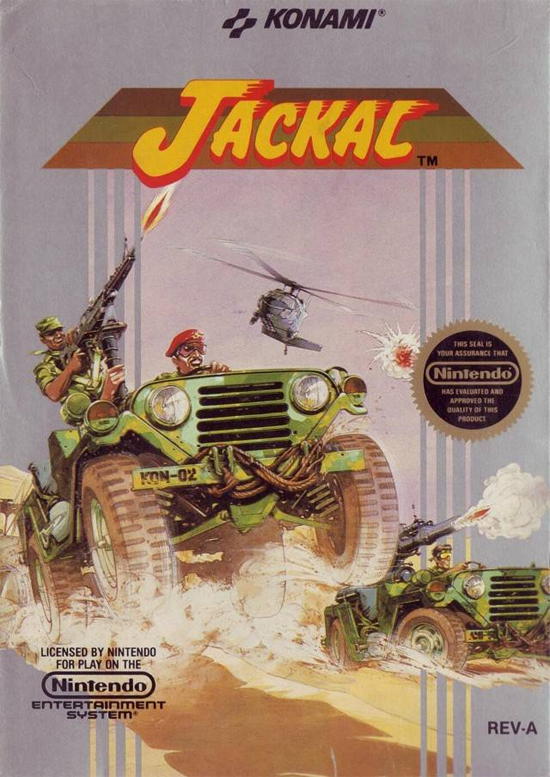 It was then released in cartridge form in North America 5 months later as Jackal. The game is an overhead run and gun game. Unlike most other run and gun games where you control a commando who shoots at the enemy with a rifle, in Jackal you control a tank. The ‘Jeep Squad’ have to rescue hostages, who have been taken by an enemy. The game has six levels, with a boss at the end of each one (except the end level, which has two). Your initial weapons are a machine gun and grenades though there are upgrades later in the game. Konami also released the game on the PC and the Commodore 64 in 1989. Another scrolling shooting arcade game from Konami, Salamander was a spin off from Gradius. The arcade game arrived in Japan in 1986 and was ported to the Famicom a year later. 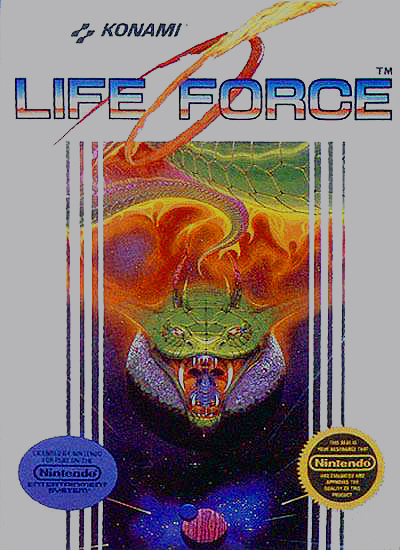 It was also ported to the NES in North America that year but was retitled as Life Force. Usually games in Europe used the same name as their North American counterparts but in Europe the game was released as Salamander as well. 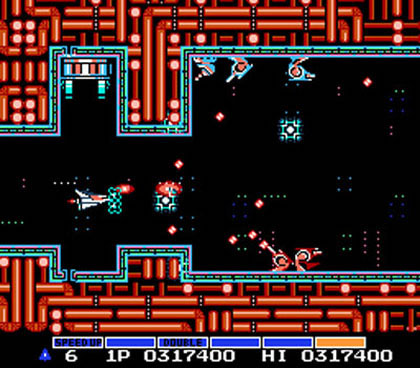 Unlike the side scrolling Gradius, in Salamander there were horizontal and vertical shooting levels. In one player mode you control the spaceship Vic Viper, the same spaceship which was used in Gradius. However, Salamander also features a cooperative two player mode. In two player mode, the second player controls a spaceship called Lord British (God knows why!!). Like most Konami games of the time, Salamander was ported to other systems like the MSX, PC Engine and Commodore 64. A sequel was also released in 1996, 10 years after the original had been developed. 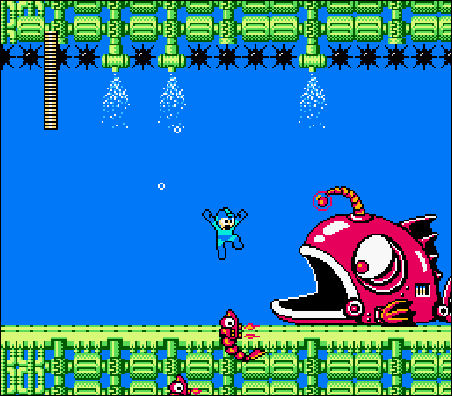 It’s hard to choose the best Mega Man game from Capcoms classic platform series as there were 6 released for the NES. Though I opted for Mega Man 2 since it was the game I owned, since it had the most worldwide sales (around 1.5 million copies sold) and since most others recognise it as one of the best in the series. 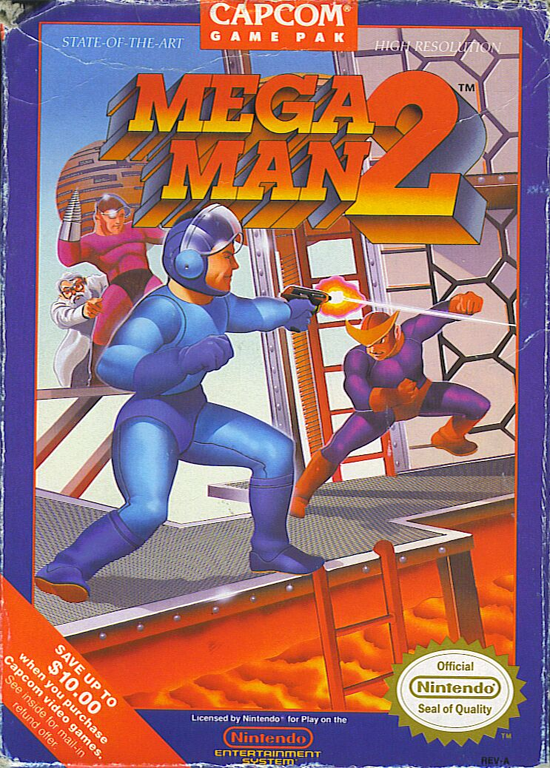 Mega Man 2 was released in Japan in 1988 but it wasn’t released in North America and Europe until 1989. There are 8 enemies to kill in the game. Metal Man, Air Man, Bubble Man, Quick Man, Crash Man, Flash Man, Heat Man and Wood Man. Once you defeat the enemy at the end of the level, you will gain their power. After beating all 8 bosses you will be able to enter Dr. Wilys base, which you need to go through before you can fight the end boss Dr. Wily. The game is quite unique in that you can do the levels in any order you want. It is quite challenging though and most of the levels can only be beat after going through them a few times and realising how best to get past an enemy or get to a higher level. The game is widely recognised as one of the best games ever made. There have been 9 direct sequels and dozens of spin off series like Mega Man X, Mega Man Zero etc. In Japan the series was known as Rock Man. The famous Hideo Kojima stealth game Metal gear was first launched on the MSX2 by Konami in 1987 (in both Japan and Europe). It was ported to the Famicom a few months later and to the NES in North America in 1988 and Europe in 1989. 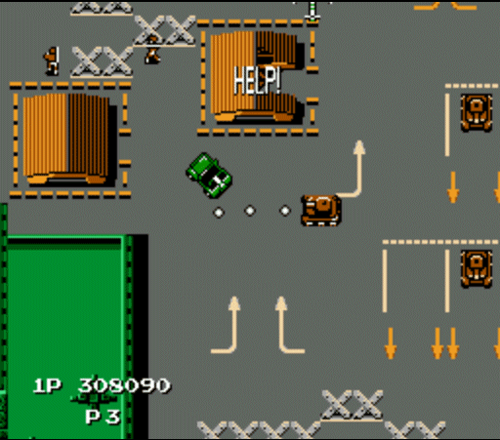 In the game you control Solid Snake, a special forces commando who must enter the state of Outer Heaven to destroy Metal Gear, a futuristic bi-pedal robotic tank which can fire nuclear weapons to anywhere in the world. The game works the same way as later games. You must navigate through the base without being seen. When a guard sees you, you enter alert mode, and you need to hide before the situation escalates and more guards come. There are a variety of weapons and items which can you use in the game and the while you are guided via walkie talkie by Big Boss. The game proved to be immensely popular on the NES. There were no other stealth games available at the time so Metal Gear was a breath of fresh air. 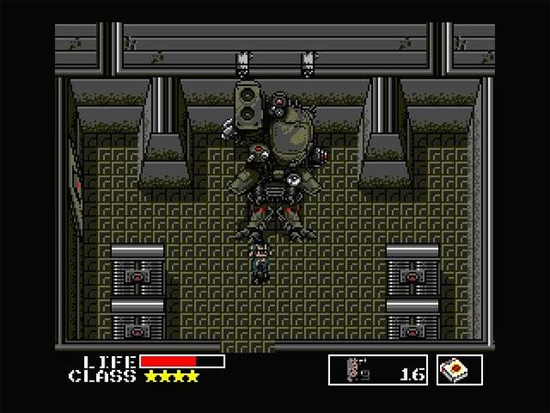 A direct sequel entitled Metal Gear 2: Solid Snake was released in 1990 on the MSX2. 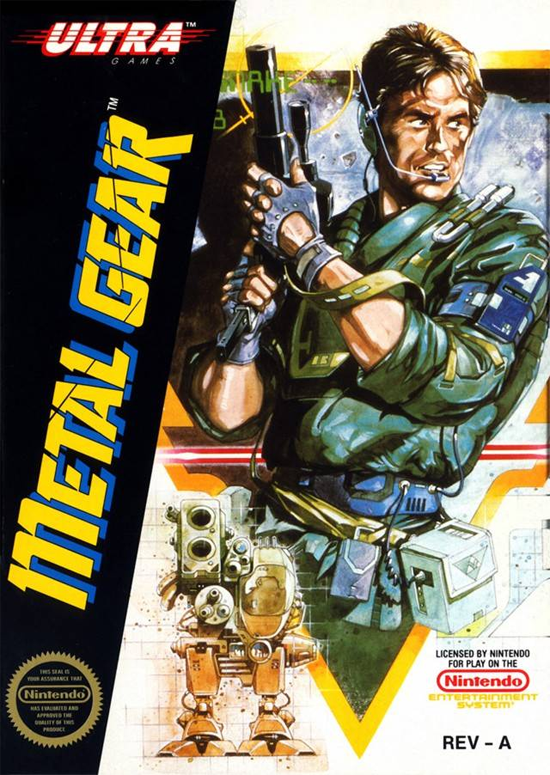 Most people now recognise Metal Gear through the series Metal Gear Solid, which has appeared on the PlayStation 1, 2 and 3. One of the earliest adventure platform games on the NES is also one of the best. 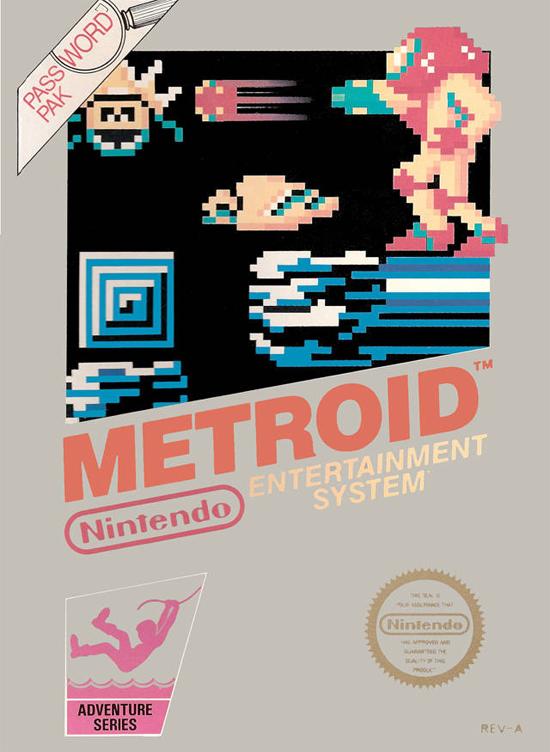 Metroid was released in Japan in August 1986, North America in August 1987 and Europe in January 1988. The game uses the same engine as Kid Icarus. The game was very influential and many of the concepts within the game were copied in other successful games. In the game you control a female bounty hunter called Samus Aran, who goes around hunting space pirates. The game is open ended and you are required to go back to same levels once you have collected the correct power ups to get through them. You usually get enery or items for defeating enemies though defeating a boss usually gives you a new power. The game is rightly thought of as a classic and was one of the games which helped the NES become the powerhouse it was. The series has been expanded and has been featured on the Game Boy, Super NES, GameCube and Wii. 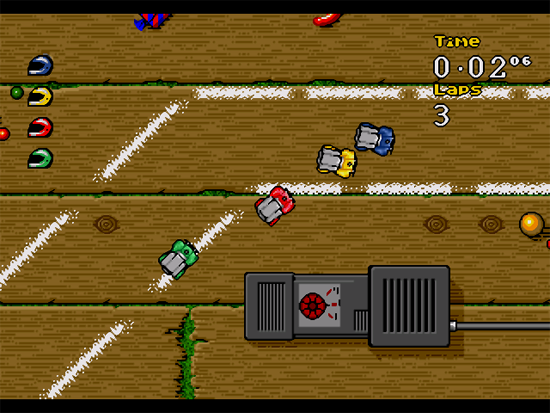 The Codemasters classic Micro Machines was unleashed on multiple platforms on 1993. 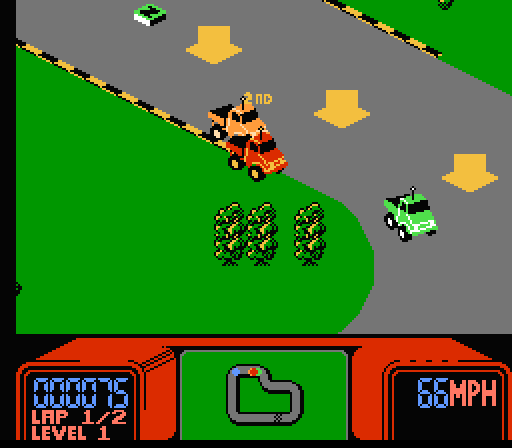 However, this overhead driving game was first seen in 1991 on the NES. 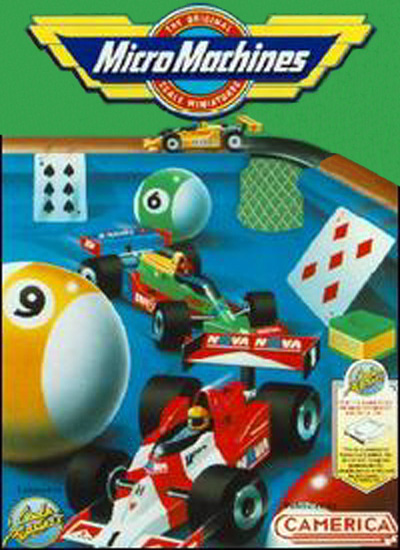 The premise of Micro Machines was based on the toys of the same name. In the game you drive a variety of miniature vehicles through random environments such as pool tables, bathtubs, computer desks, breakfast tables and much more. You had to dodge things such as jam on the kitchen table (which slowed you down) and rubber ducks in the bath tub. The game was incredibly fun and was particularly enjoyable in multi player mode. During the 90s the game was released on most systems and the game had several sequels too including Micro Machines 2: Turbo Tournament and Micro Machines V3. Based upon the 1984 Nintendo arcade game Punch-Out!! and the 1985 arcade game Super Punch-Out! 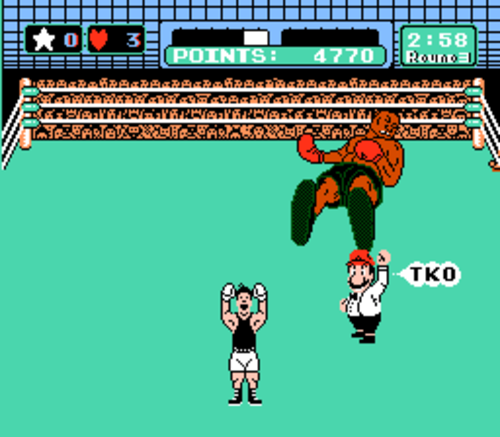 !, Mike Tyson’s Punch-Out!! was a hugely popular arcade style boxing game which was released on the NES in 1987. In the game you control Little Mac, an up and coming boxer who you must take up through the ranks. 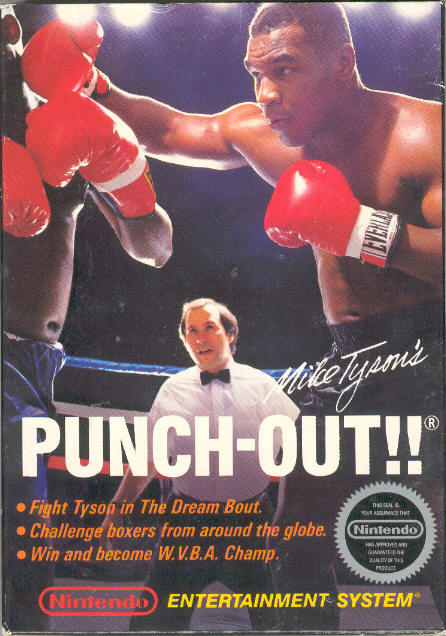 When you reach the end you get a title shot against Mike Tyson (Mr. Dream in later versions). Each boxer has strengths and weaknesses but as you progress through the game the boxers get stronger and smarter. In order to beat an opponent you must learn his moves and learn when to attack and when to dodge. All the fighters have a unique system of fighting so to beat them you just need to learn the pattern in which they throw punches. Mario has a guest appearance in the game as a referee. The game later had sequels on the NES (Super Punch Out!!) and the Wii (Punch Out!!). 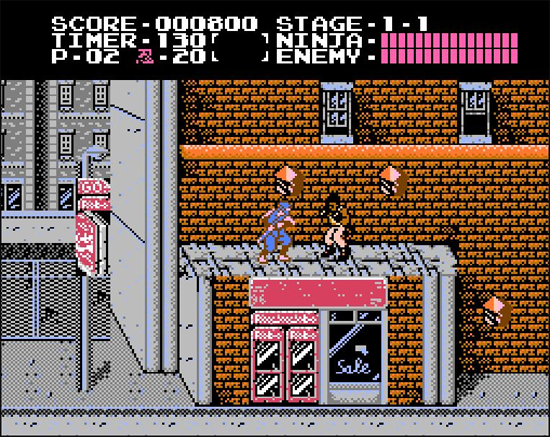 Ninja Gaiden was a platformer which was released on the NES in the late 80s. It was released in Japan in December 1988 as Legend of the Ninja Dragon Sword (Ninja Ryūkenden), as Ninja Gaiden in North America in March 1989 and as Shadow Warriors in Europe in August 1991. In the game you play a ninja called Ryu Hayabusa. As with most ninja orientated storylines, the storyline revolves around revenue over the death of his Father. There are 6 levels in total. Your main weapon is a sword (Katana) though you also get to use shurikens (ninja stars) and fire wheels. Really, how can you not like this game, you get to control a ninja!! 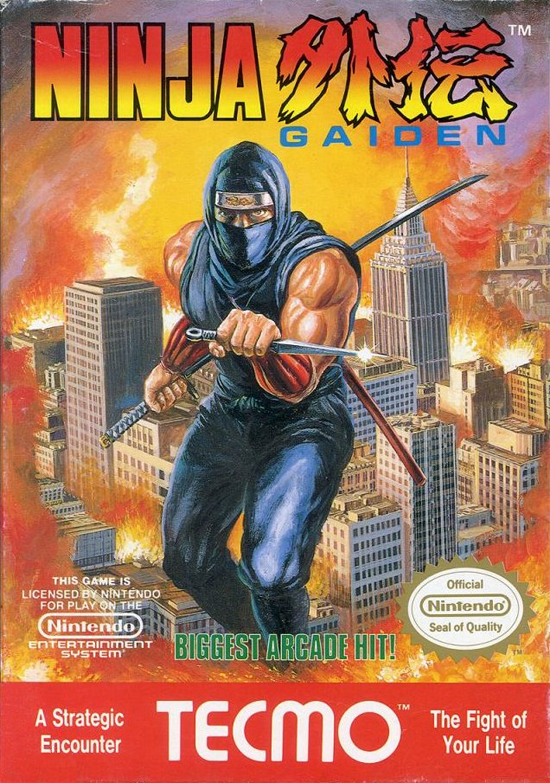 A sequel was released 2 years later entitled Ninja Gaiden II: The Dark Sword of Chaos. Various sequels have been released since then with the latest editions being released on the Xbob 360 and PS3. Developed by Rare and released on the NES in 1988, R.C. 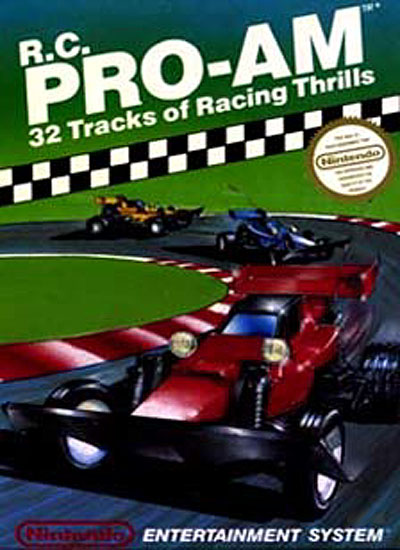 Pro-Am was a great little racing game which inspired the likes of Rock N’ Roll Racing. R.C. Pro-Am is a fast paced driving game in which you need to drive a remote controlled cart around 32 tracks. You can run rivals off the road or you can attempt to destroy them by firing your weapon a them. In between levels you can upgrade your car by purchasing parts from the garage. The game was very popular and sold more than a million copies. Unfortunately, R.C. Pro-Am was only a one player. However the sequel R.C. Pro-Am II was released in 1992 and allowed up to 4 players to play at the same time. Recognised by many as one of the greatest video games ever made, Shigeru Miyamotos platform classic was one of the main reasons the NES became so popular in the 80s. The very definition of a killer app! The game was released in Japan in September 1985, in North America in March 1986 and in Europe in May 1987. It didn’t take long for the game to become a top seller in every territory. As of today, it is the second best selling video game of all time with more than 40 million copies sold (Wii Sports has since overtaken the number 1 position). The game continues the adventures of the Mario brothers (Mario Mario and Luigi Mario). 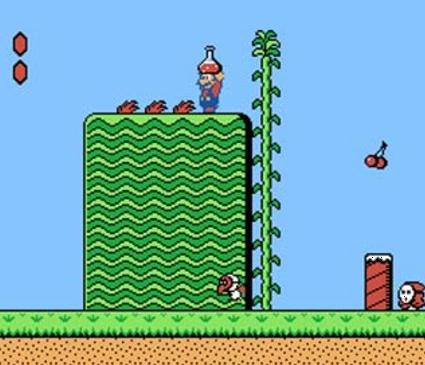 In the game they must try and rescue Princess Peach (originally it was Princess Toadstool) from Bowser. There are 32 levels in total, with 4 levels in each of the 8 worlds. It is possible to skip many levels through shortcuts. Mario can kill enemies by jumping on them, kitting them with a koopa shell or if he collects the fire flower power up, via fireballs. He can also become invincible for a short period of time by collecting a star. Like most other gamers, I got Super Mario Bros. with my NES when I bought it (I got Duck Hunt too) so I have always had a soft spot for it. Though it’s amazing that 25 years later the game is still fun and challenging. 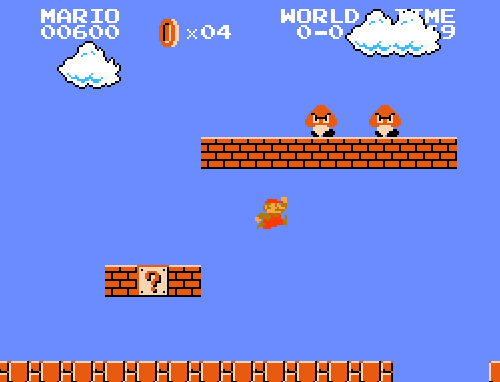 Although Mario had appeared in some other games, Super Mario was the game that made him known around the world. To this day Mario is Nintendos signature video game star! 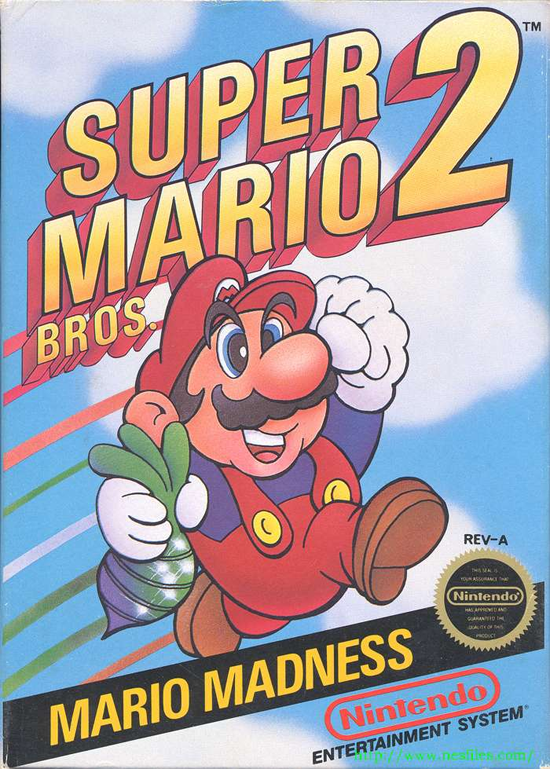 Super Mario Bros. 2 was the Western sequel to Super Mario Bros. It was released in North America in October 1988 and Europe in April 1989. Japan had a completely different game released as Super Mario Bros. 2 in June 1986. The game was very similar to the first game except the levels were much more difficult. So difficult Nintendo decided that it wasn’t suitable for western audiences. The Japanese sequel was eventually released in Super Mario All Stars in 1993 as Super Mario Bros.: The Lost Levels. Therefore a different game was developed for Super Mario Bros. 2 for Western audiences. Instead of creating another game from scratch, Nintendo decided to remake a platform game they had released in Japan in 1987 called Yume Kōjō: Doki Doki Panic. 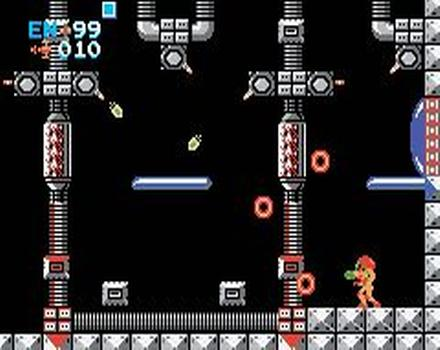 The game is identical except many of the graphics were altered to suit the Mario universe (the storyline was obviously changed too). In July 1992 the game was released in Japan as Super Mario Bros USA. The game mechanics work a little differently from the first game. For a start, you get to choose to go either Mario, Luigi, Princess Peach (Toadstool) or Toad. Mario is an all rounder and has the speed jumping ability as the first game. Luigi uses his long legs to jump higher. Princess makes use of her skirt to hover for longer distances, making it easier to jump over certain parts of the game. Toad cannot jump as high as the others however he is very quick. Unlike the first game, you don’t kill enemies by jumping on them. Instead you need to pick vegetables out of the ground and throw them at enemies. Alternatively, you can pick up the enemies themselves and throw them at others. Instead of just having small Mario and large Mario, there is a health bar in this game, which can be filled back up by collecting hearts. The game also features potions. When a potion is picked up and thrown, a door appears. Upon entering the door all vegetables turn into coins. After each level, the coins can be used to play a fruit machine to win extra lives. Although the game was drastically different from the first game, it proved to be very popular with fans, and received praise from critics too. 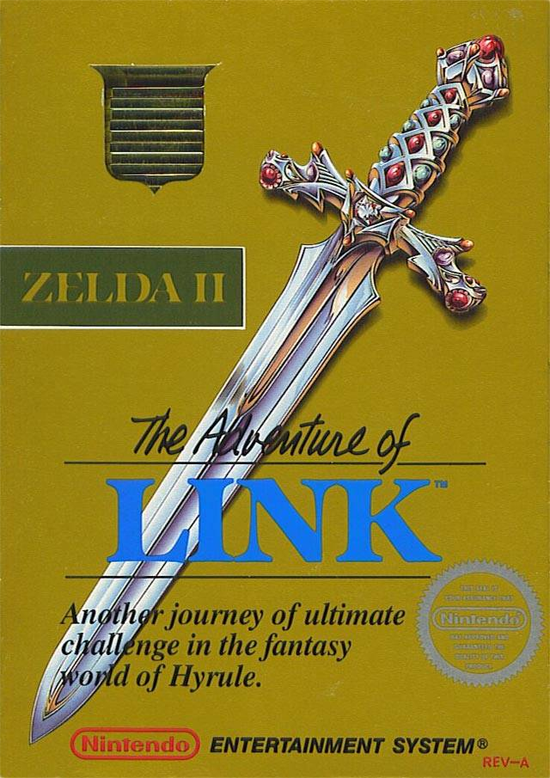 The game managed to sell over 10 million copies, making it the third most popular game on the NES. 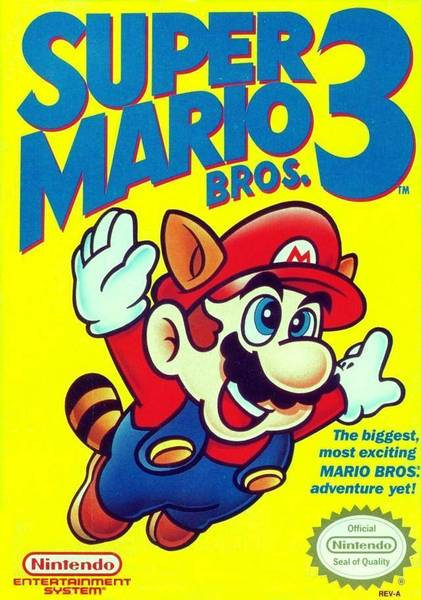 Super Mario Bros. 3 took the series to great new heights by making it more fun and more challenging. The game was released in Japan in October 1988, North America in February 1990 and Europe in August 1991. It has sold over 18 million copies and is credited as being the best selling game of all time which wasn’t bundled with a console. Super Mario Bros 3. felt much like the original Super Mario Bros game rather than the sequel which was released in North America. Though it brought in a lot of new features. For starters, Mario can put on a lot of different suits. The original super mushroom makes him big and the fire flower lets him throw fire balls. However he can now use the tanooki suit (racoon) to fly, the frog suit to swim and the hammer suit to be able to throw hammers. There are 8 worlds in total. Mario can transfer between worlds using whistles. It is possible to skip levels using these warps. The final levels are quite difficult compared to the levels at the start of the game. There is a two player mode too which lets two players play alternatively. 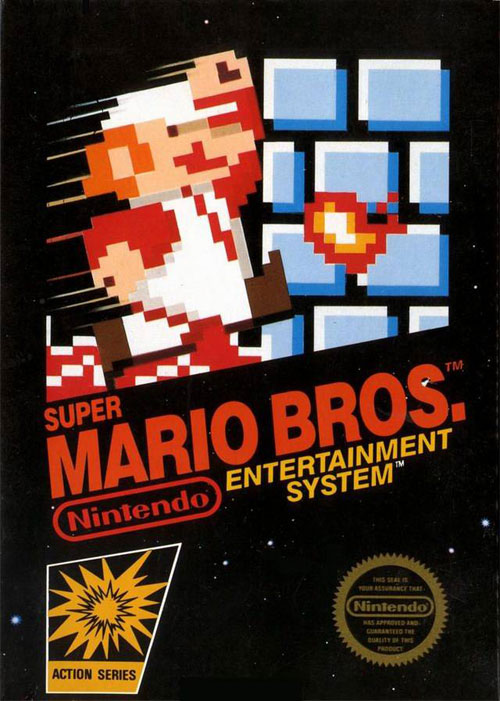 Players can also play the original mario bros game together. 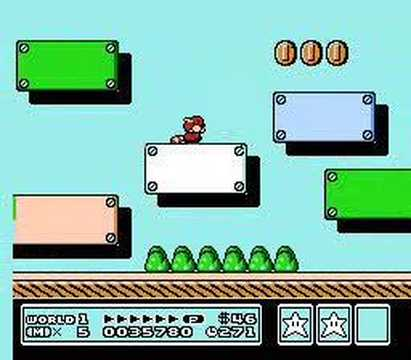 Most Westerners who grew up in the late 80s probably remember the first time they saw a clip of Super Mario Bros 3. The game was displayed in all it’s glory in the video game film The Wizard, a poor film which was full of Nintendo advertisements like the Power Glove though it was very popular with kids. 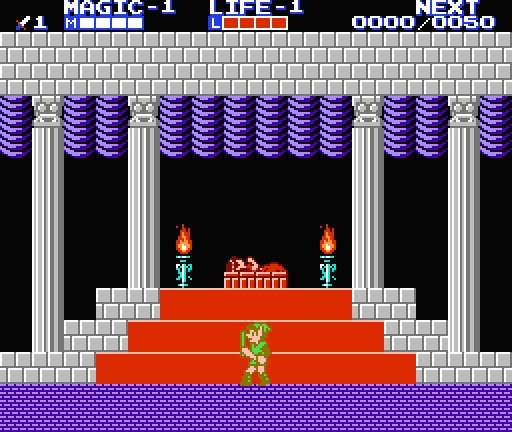 Another Nintendo classic which started it’s life on the NES was Zelda, the world famous role playing game. It was originally released on the Famicom Disk System in February 1986 however a cartridge version was released in North America and Europe in 1987. It was one of the best selling games on the NES. 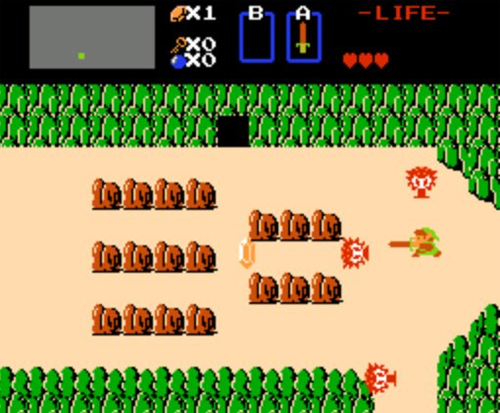 In the game you control a boy called Link, who is sent to save Princess Zelda from the Evil Gannon. The game is played in a land called Hyrule and as Link wanders around, you get to understand what has happened through talking to other people and from cutscenes. There are lots of puzzles in the game which you must solve though there is a lot of action and adventure too. 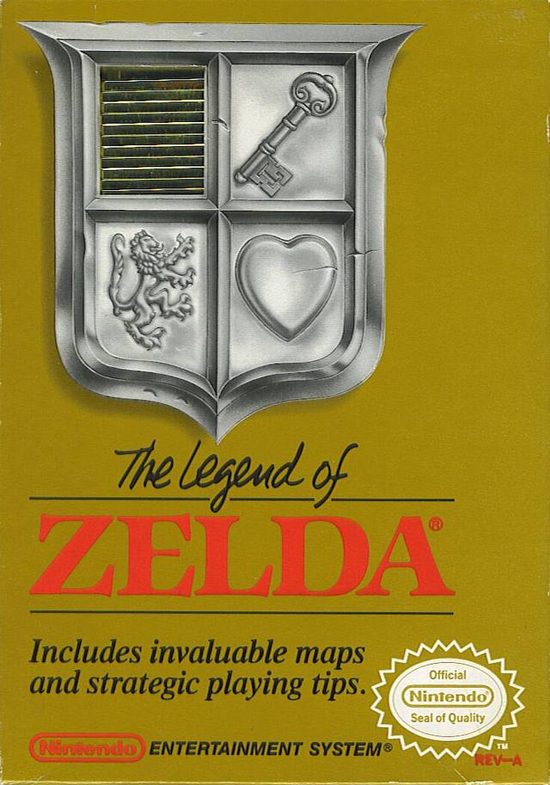 Without doubt, Legend of Zelda was a huge influence on dozens of games which were released in later years. Legend of Zelda was a launch title for the Famicom Disk System. 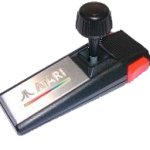 Since this peripheral was not released elsewhere, it was released in a 1mb cartridge which had a battery to save games. This would become the norm for cartridge games for years to come. Nintendo released the sequel to Zelda less than a year after the orginal. It was unleashed in Japan in January 1997 and North America and Europe in late 1988. Over 4 million copies of the game were sold worldwide. The story is set 4 years after the first game, with Link now being 16 years old. Once again, Link is called upon to rescue Zelda! Zelda II was quite different from the first game. Most notably was the fact that most levels were side scrolling rather than viewed from above. There was also more emphasis on magic and experience points and other features which are common to role playing games. The game was very well received when it was released with many magazines giving it the title of game of the year. Unfortunately, no more sequels were released on the NES. Zelda fans had to wait another few years before the fantastic ‘A link to the past’ was released on the SNES. I hope you have enjoyed this list. I know that I have left out many popular games and I know that I have included some which others weren’t too keen on. However, the Nintendo was such a great system and had so many great games, it really is impossible to make a list which everyone agrees on.